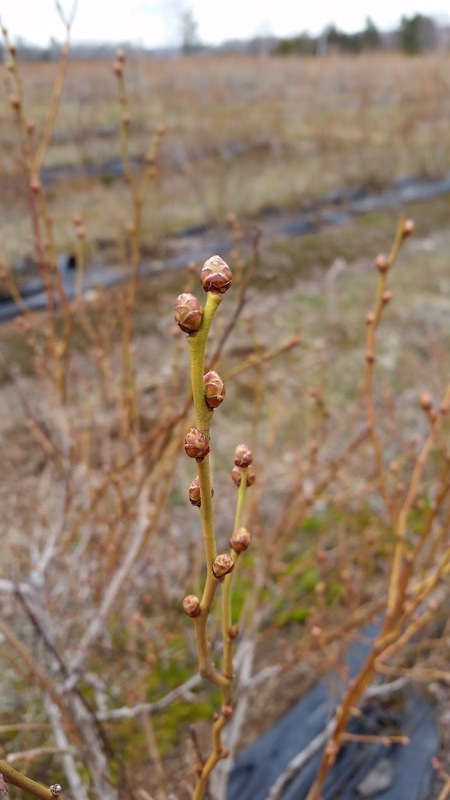 It is that time of year again and Perennia will be delivering a mummy berry disease forecast for highbush blueberries again in 2017. Please keep in mind that Tim Strong is our co-operator on this project and recommendations will be based on weather data collected on his farm on Brooklyn Street, Kings County, Nova Scotia. It should be fairly accurate for other growers in Kings County but will be a guide only for growers west, south, and east of his location. Westerly and southerly locations are generally a little ahead of the Valley while more easterly locations become progressively later. 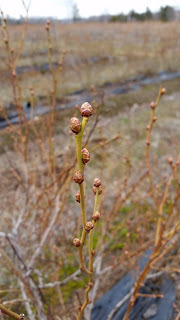 To review the disease, its symptoms, and life cycle, please examine the fact sheet on Perennia’s website titled “Management of Mummy Berry Disease in Highbush Blueberry”. The important thing to remember about the disease is that you need three things for infection to occur – inoculum, susceptible bud development stage, and suitable weather conditions. During scouting yesterday, a few varieties had buds that were just beginning to separate but for the most part, we do not have buds at the susceptible development stage. No apothecia cups (for inoculum) have been found. However, buds are expanding on early varieties and if mild conditions persist we could well be at susceptible development stages for some varieties over the next week. Have you sprayers ready! Scouting 20 April, 2017, Kings County. Spartan at F1. 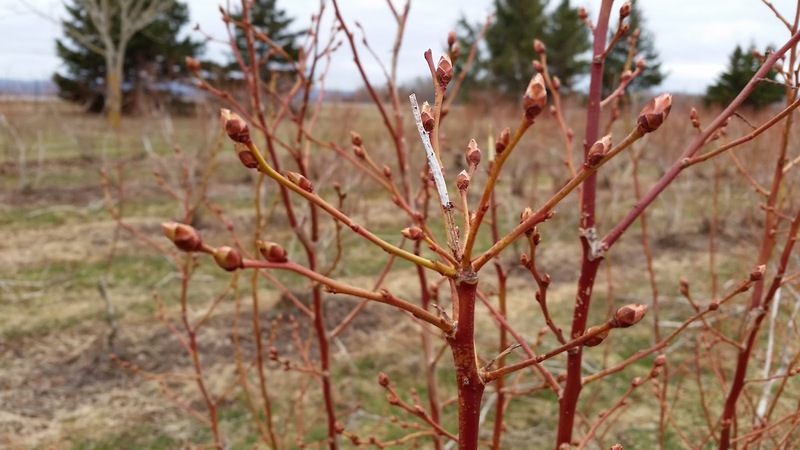 For a review of the fungicides registered for use on this disease please take a look at Perennia’s Highbush Blueberry Insect and Disease Management Schedule.